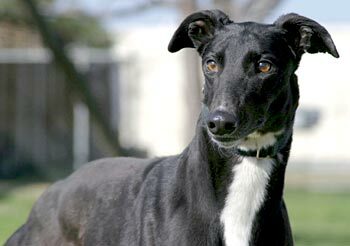 Megan, aka Megan Magoo, is a gorgeous, almost 2-year-old black female born June 5, 2007. 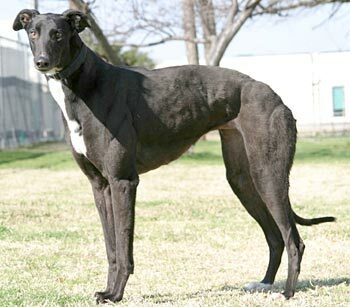 Her sire is Fuzzys Warbird and her dam is GALT’s own Cleo, aka I Bex Cleopatra, making Megan and Shelley siblings! Megan, during her schooling, made it very clear that she had NO interest in racing! So here she is – looking for her forever home, family, and couch! 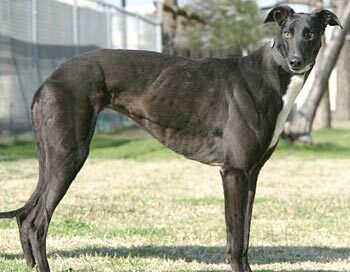 What a beautiful white blaze she sports. It is not know at this time if Megan is small animal or cat tolerant.